It’s a freelancing paradox. On one hand, if you’re self employed, existing friends pop out of the woodwork at all hours of the (traditional) work day. “I’m having a day off, want to hang out?” or “Just heading to the beach with the kids, interested?” Sound familiar? All very nice, but usually those offers involve you reminding your dear friends that you are actually working, and very, very busy procrastinating about working on your next task. If you freelance, you’ll be immeasurably buoyed by your freelance buddies. So, where do you find them? Here’s how: slowly, but actively. My own freelance friends have been gathered over the long haul. But the result is they’re not acquaintances; they’re real friends I can go to with problems or concerns. They’re my brains trust – people I can turn to when my own brain is failing to find me solutions. My collective of freelancing friends don’t just help me out – its members regularly save my sanity. While you don’t need a lot of them, you do need more than one or two. This is primarily because gathering a group of freelancers can be like herding cats. Everyone is working to a different set of deadlines – as the very nature of freelancing means the rhythm of your work is individual. This means that a great week for me to catch up might be a hellish week for my brains trust members. You need to be patient – these may not be friends you see every week – and you need to be realistic about each others’ schedules. It’s the reason I long gave up on the dream of getting my individual freelancing friends to form a ‘group’ of sorts. Instead, I hang out with each on a one to one basis. That’s much easier given everyone’s different schedules. It’s also far better for building trust – we only need to trust each other, not build trust with a broader group. 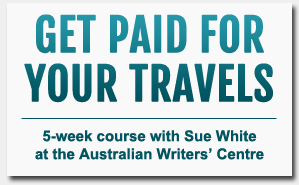 Sounds lovely – but Sue, I need some freelance friends fast. Okay, you don’t have five or six years to cultivate your brains trust? Here’s some tips for building a trusted network fast. So – where might your new freelance friends be hiding? You may not be ready – practically or financially – to ditch the home office (or kitchen table?) completely, but plenty of freelancers join a co-working space, or share a studio with other freelancers for the sole reason of building a freelance network. I tried it once – here’s a story I wrote on a Sydney coworking space last year. Heaps of benefits. For now, I’m still firmly ensconced in my home office, but friends are loving The Hub in Sydney. These setups exist in many cities across the world. Here’s a good link to a bunch of co-working spaces across Australia. 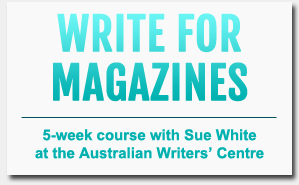 I’m almost envious of the graduates of my online magazine writing and travel writing courses at the Australian Writers’ Centre, because I know that upon graduating they get access to a private Facebook group. Here, likeminded folks share tips, contacts, successes and tales of the ups and down of freelancing. Often, group members get together offline and develop real friendships. It’s fabulous. 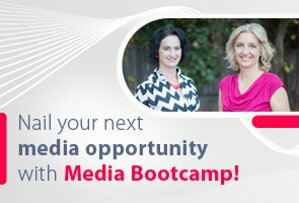 If you’re doing a course and no such opportunity exists, get proactive. 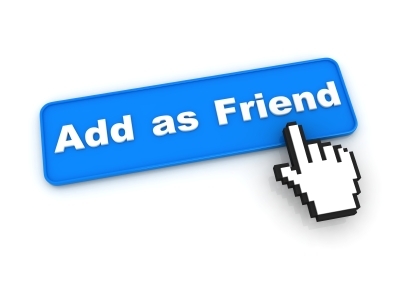 If you connect with someone, ask to keep in touch. Be the person who makes the contact list and passes it around the classroom (and then follows up by emailing it to the group – everyone loves that person). Even if you make one freelance friend from the process, you’ll be on your way to building your own personal network. 4. At conferences and events. It’s important to note when I say friendships, I’m not talking about building ‘strategic marketing alliances to bring $ through the door’. I mean friendships! Two different things. Sure, freelance friends may pass the work around (I’m often doing this with members of my own freelance network), but that’s a side effect, not an end goal. Ultimately, you want this network for more important things than work: you want it for sanity. Seriously – we all need friends. Especially if we’re freelancing. Now, off you go, get started! For the comments below: Where did you find your freelancing friends? Do you think they need to be in the same industry as you? Or are you still looking? Thought-provoking blog, Sue. I’ve freelanced since I chiselled my books on cave walls, happily never needing a day job. Your ideas on finding like-minded people resonate with me. I find Twitter another great way to connect in short bursts, like a quick trip to the water cooler. Took me years to realise I could go to conferences and not attend the main events. Hanging out with buddies in the coffee shop is worth the fee for me, these days. Thanks Valerie – for the comments and for stopping by. Always nice to see others making freelancing work…agree with you about twitter (a new discovery for me – I was a late adopter) – the challenge for me in there is not getting stuck. Time gets sucked away so quickly every time I “dip” in. Gorgeous post – love it! Great post Sue. Your idea about the co-working spaces has inspired me to sign up for one. I now live in Austin, which is apparently the unofficial co-working capital of the US. There are 16 in this city – even one with child care! Nice! So pleased to hear it. And hey, you know what life in the co-working capital of the world means …. There’s a story in that! Hey Sue, such a timely message, thank you. In the Dance world we are all independent and even seeing a show is a networking opportunity. So I’ve really loved my new shared office/studio (with a photographer, theatre director and animator) because it’s a focused and inspiring environment. I’m volunteering for the organisation in exchange for a free desk, so that’s another resourceful way that might work for emerging freelancers. My two most reliable brains trust are my mentor and a visual artist I’ve collaborated with- both who I met at choreographic workshops- neither mind getting a text to say I need help! I’m writing from the dining table right now, wondering whether I should go to the gym just to get a bit of social interaction. These are great ideas on how to meet other like-minded people who also find themselves in the freelance bubble. Perfect for when Body Combat just doesn’t deliver the goods. Thank you! Sue, I haven’t been freelancing for very long, but I can already relate to your comments about having to explain to people that, while it looks like I’m free, I actually have a deadline looming. I enjoyed reading your thoughts and I can already see how making some friends who are specifically freelance writers, is a great idea. Thanks for reading and commenting. Yes, I think it hits everyone…one friend was just complaining about it to me this week – rampant!